Brooks Straight Stairlifts Fitted From Just £995! 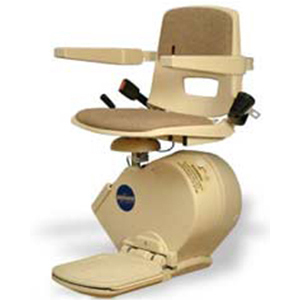 Brooks stairlifts are available from Central Mobility as either rental, reconditioned or new options. Unfortunately the original 'Lincoln' is now no longer available but we can still source certain parts. 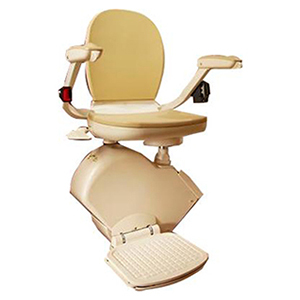 The 'Slimline' can be rented or purchased as a fully reconditioned stairlift and the '130' is available brand new. Brooks stairlifts started in 1972 when Mr Frederick Brooks designed his first stairlift for his wife Grace when she started to find the stairs too difficult due to her rheumatoid arthritis. 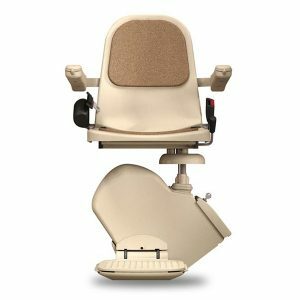 Over the years, Brooks Stairlifts have worked closely with home care professionals to turn ideas into reality and provide thousands of people with a reliable stairlift. Brooks have brought safety and independence on the stairs to thousands, through their innovation, commitment and inspiration. Brooks stairlifts are a reliable, safe and comfortable alternative for people who may have difficulties getting up and down their stairs. They are simple to operate and do not damage your home as the threads are attached to your stairs and not your wall. As well as these advantages, they are not obtrusive to others as they have a slim-line design which enables others to use the stairs as normal. The Brooks Stairlift is our best seller, and has great features that enable to you enjoy your home once more. If you'd like to know more, contact us today and receive a free stairlift quotation! Below are both past and present models. The 'Lincoln' was discontinued in 2005 and replaced by the 'Slimline'. This popular dual controlled model stayed in production until around 2013 when it was given a new, more modern seat and renamed the '130'.